Established in 1984, Dhanlaxmi Steel Distributors is India’s Largest Copper Fittings Manufacturer with Head Office and Manufacturing Plant in Mumbai. We Offer Large Range of Copper Fittings for Domestic, Commercial, Industrial and Shipbuilding Application. 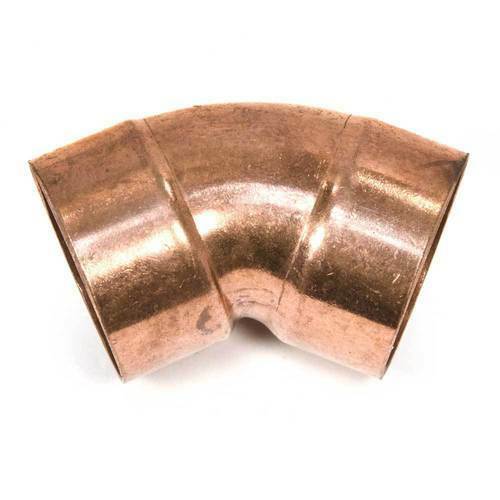 Our Standard Copper Fittings are substantially Ticker on average than other fittings available in Market today as they are manufactured to exceed B16.22-1989. Incepted in the year 1983, Dhanlaxmi Steel Distributors, takes immense pleasure in introducing itself as one of the leading names in the engineering industry having integrated steel complex with modern integration. We are regularly supplying these items to many Leading Industrial units consisting of Chemicals, Fertilizers, Petrochemical Plants, Refineries, Paper Mills, Cement Plants, Sugar Mill, Fabrication Units etc. the organization has pioneered its operations in 1983 to supply Ferrous & Non-Ferrous Metals, we have experience in this field for more than 32 years.